By setting business cards to "Private", only the person who registered them will be able to view them. This is done from the Business card details screen. 1. In the Business card details screen, click on "Edit". 2. From the "Access" tab, choose "Make Cards Private", and then save. 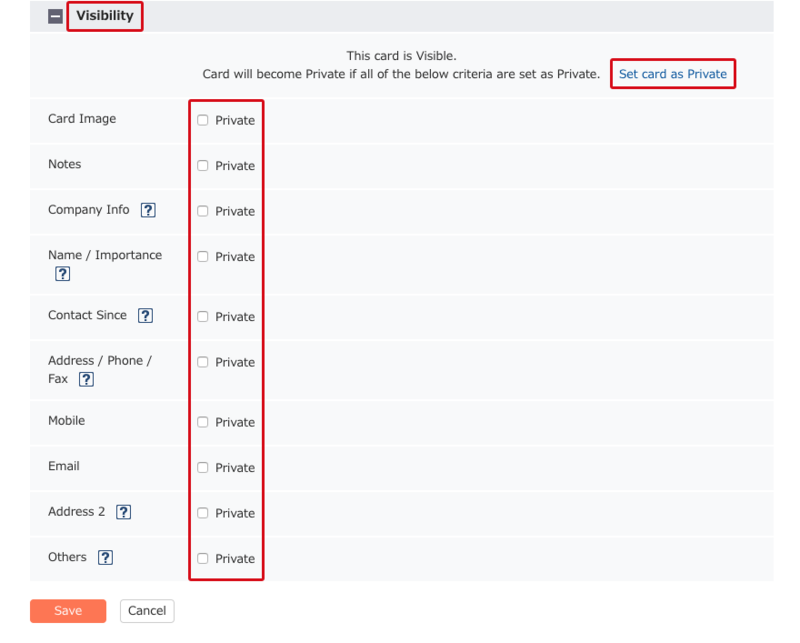 It is also possible to make individual items of the card private, instead of the whole card. Put a check in "Private" for the items you wish to keep private, and then save.